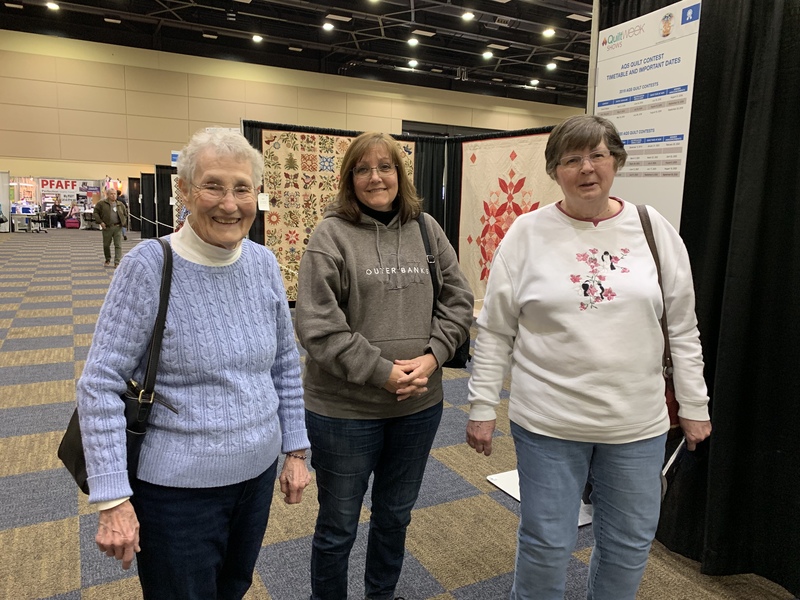 We enjoyed going to the Lancaster Quilt Show today. I didn’t take photos of the quilts but I did snap a shot of Mom, Ann, and Nancy. Tomorrow, we’ll head back to Ann’s house in Maryland for the night and then I’ll drive Mom home to Virginia on Saturday. from all over the country, right there! This picture will stimulate more memories than pictures of the quilts in years to come. I have lots and lots of pictures of quilts from Minnesota Quilters shows. Very few have people in them. They aren’t nearly as memorable. Enjoy the rest of your time together. That’s what it’s all about! Always love seeing your mom. Time spent together is better than any purchase can be. You chose wisely.